The past couple of days I’ve been taken tiny steps in getting familiar with Sitecore JSS and have been writing up on a couple of small Sitecore JSS posts. All working in the end towards a Sitecore connected Vue.js app, even though working at the moment totally disconnected in the end it’s all about getting the Sitecore JSS powered Vue.js app running into Sitecore. In order to be eventually be able to connect with Sitecore I wanted to take the necessary pre-requisites to already start exploring what I need to get Sitecore 9.1 up and running. One of the pre-requisites is SOLR. Installing SOLR 7.2.1 locally isn’t hard at all if you know the right tools. But having to do it manually can be pretty hard. I’ve seen extensive posts on Sitecore 9.0 installations and Sitecore 9.1 installations. For example here (scroll to the Install Solr 7.2.1 & Enable SSL for SOLR (Self Signed Certificate) part). But luckily for us the fantastic Jeremy Davis already provided us with a fantastic Low-effort SOLR Install script, but that was targeted at Solr 6.6.2, which was compatible with XP 8.2 and XP 9.0. With some minor tweaks (basically adjusting the SOLR version and the Java Runtime we installed before), we are able to run 1 Powershell script to actually download SOLR 7.2.1, configure it and install it as SOLR as a service. 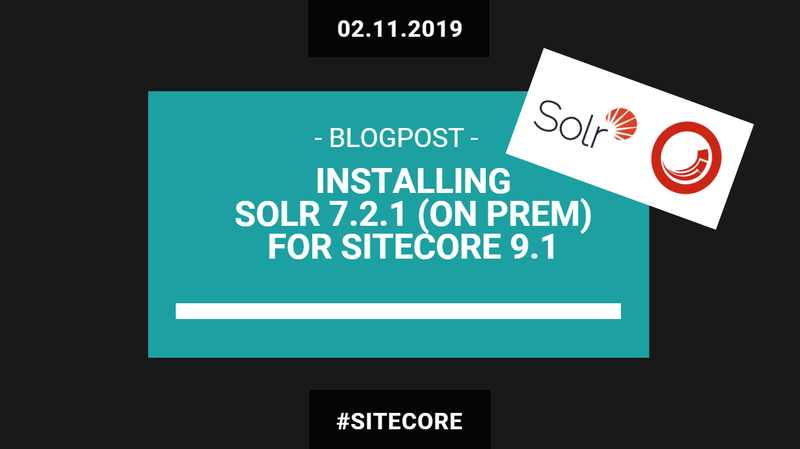 .\Install-Solr.ps1 : File C:\Projects\Kayee\Sitecore\sitecore-91-sif\SOLR 7.2.1\Install-Solr.ps1 cannot be loaded because running scripts is disabled on this system. For more information, see about_Execution_Policies at https:/go.microsoft.com/fwlink/?LinkID=135170. Then when I ran the updated version of Jeremy’s script (to be found here), SOLR 7.2.1 got installed and configured as a service.